Get the best of both worlds with Pure Natural Shea Butter from Ghana. Best quality Shea Butter to use for all your natural skin care needs. Use on dry skin and eczema to see amazing natural results. Use on your hair and skin for complete protecting from the harmfull elemets of nature. Use Mudfarm Organix Shea Butter to help revive the dullest and driest skin. Its pure with Vitamins and natural Fatty Acids to help heal and protect the skin. Shea Butter can be used on everyone in the family and its alternative to lotions and creams that contain alot of artificial ingredients. Shea Butter is a great way to start your trend towards going all natural. I tried the item for my little daughter's eczema problem. While i put the shea butter on her, i realized it does not only help het but also is very good hand cream. Then i also tried on my face, it is as good as my expensive night cream. Will buy it again. Enjoy the quality and usage of both and Ivory and Yellow. Making my own whipped Shea Butter skin lotions and balms. Great product and it is great for dry skin and hair. I find it works great for the cold weather here in Canada. My lips are healed and my feet are healed as well. Thanks again. Received my product as promised and I am satisfied. Love these butters as moisturiser for my skin.....so looking forward to the results of a more beautiful, glowing skin. Awesome shea butter my dry skin is improving. Searching everywhere for pure shea butter and cocoa butter and what a blessing it has been to get this company Mudfarm Organic to get products. They have a retail shop that i attended to pick up my products on Hood Rd. I had to call a couple of times i think they respond better to emails and text.. Overall i love my products and grapefruit essential oils..
Great product and free shipping is a bonus. I mix the shea butter with the mudfarm coconut oil and their essential oils to make my own moisturizers. Here is the recipe i found that works great and you are welcome to tweak it. Extra Virgin Olive Oil – A great emollient, olive oil is also rich in vitamin E and healthy fatty acids that nourish, moisturize and protect the skin from impurities. Lavender Essential Oil – Soothing and calming, lavender is good for sensitive skin types and helps calms inflammation if you suffer from inflammatory skin conditions like eczema. It also has a fresh slightly floral scent that’s okay to use for both men and women. Melt the shea butter in a double boiler. Make a makeshift double boiler by resting a small bowl containing the shea butter in a pan of water heated by a low flame. Once melted, add the coconut oil and lavender essential oil and stir well. Pop the bowl containing the ingredients in the freezer for about 10 minutes. When you get it out, it should be at least partly solidified. Using a hand mixer, whip the ingredients for about 5 minutes till you get a creamy texture. Voila! Your homemade shea butter lotion is ready! Use just a tiny amount to moisturize your whole body. This review is for "Mudfarm Organix" 100 percent raw, wildcrafted shea butter. In my continuing quest to go natural, after years of being a die hard beauty sl/ut and product junkie, I picked up a jar of this, because I love shea products, but have only used the processed commercial ones. Wow. What a find. Extraordinary. Used alone, I can warm it between my fingers, it's much more supple and easy to warm than many other healthy butters, for example, coco butter. At room temp even during the winter (but my place is at 68 degrees), very easy to apply. Been applying to my eye area, cheeks, and all over my neck and chest. My neck hasn't looked this good in a long time. Smells a little nasty, but the smell goes away quickly, and you want that smell. 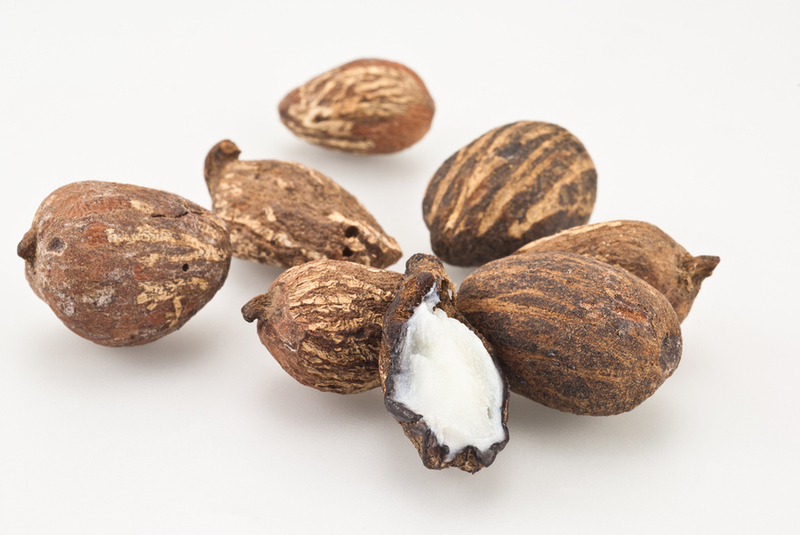 From my little bit of research, the raw shea butter has collagen building properties. Don't get the stuff that smells good, get the stuff looks and smells a little off --- that's exactly where the magic and moisture are. I've whipped up a batch of homemade body slather to go with this: coconut oil, shea butter, some L'Occitane shea butter lotion to help emulsify the whole thing, and some melted coconut butter. Everything's organic -- raw -- natural but the L"Occitane, because I need to use it up. Mudfarm has better prices than Occitane and quality is fair trade premium when i found them online. It's not the smoothest concoction, but OMGoodesses, talk about results. This is the first winter in several years my hands haven't looked like parchment because of the radiator heat. I cannot believe the money I've wasted on packaging and marketing during my life, when the best things are really pretty simple. I am now a life convert. This is the way to go. Get rid of the chemicals, feed your skin and body with healthy options, and watch the glow grow. I really like this Shea Butter, its the best quality that i have tried and beats the one at Walmart and Costco for sure. You black soap is pretty good too. Great company and shipping was very fast. Click the button below to add the 1 Kilo - Organic Ivory/Yellow Shea Butter Combo to your wish list.